Yesterday’s post shows that the terra-cotta army is only a small part of the tomb that Qin Shihuang built. But the great emperor who unified China for the first time actually constructed much more. 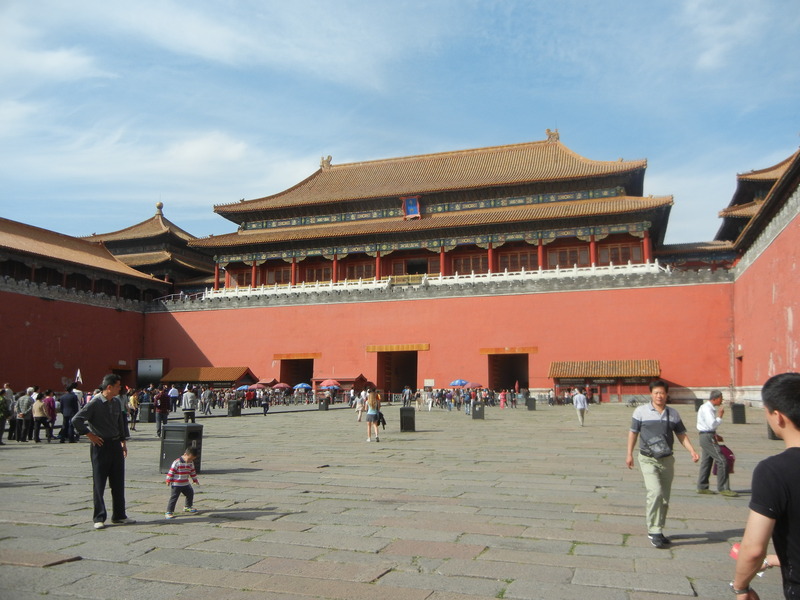 He built SEVERAL royal palaces the size of a city, and a whole lot of other huge things. What drove him? Enter the gate here, and find out what else he built. 1. Standardizing the writing system, which allowed all regions in the empire to communicate. 2. 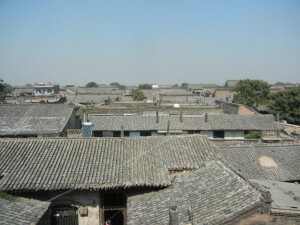 Building a nation-wide system of roads that radiated from the capital in Xianyang. It included rest houses and postal stations. The widths of axles were equalized so people could drive carts and chariots in the same ruts in roads. 3. Creating a standard coin which the whole country could use. The new roads and currency could encourage prosperous towns to develop. A single scale of weights and measurements was also established. 4. 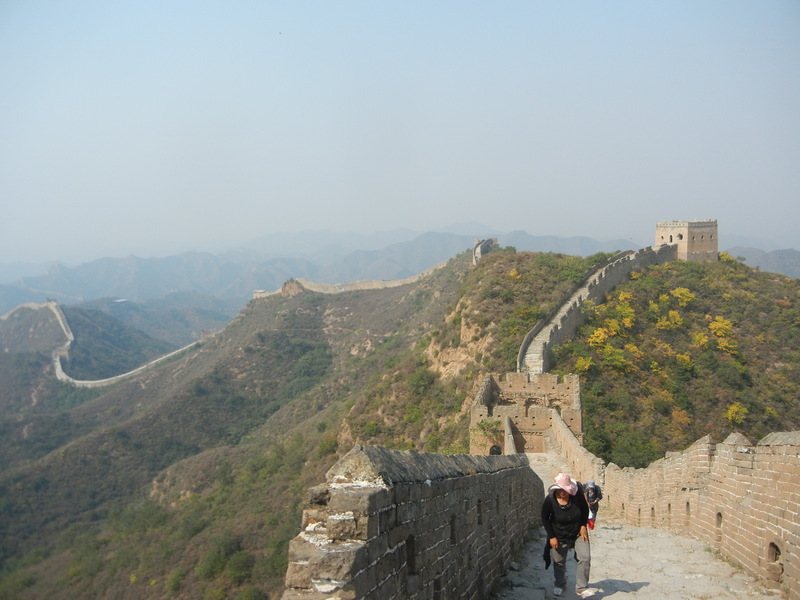 Qin Shihuang also linked a lot of the walls that protected China. Though much of today’s Great Wall is from the Ming Dynasty (1368-1644), and some of the most popular tourist sites are modern reconstructions, Qin Shihuang helped create the idea of the Great Wall as a single entity which distinguishes the Middle Kingdom from all other societies. He connected earlier walls at the northern frontier to hold back barbarian tribes (who continued to bedevil the next dynasty). The historian Sima Qian wrote that 300,000 people worked on the wall, which were mainly rammed-earth. 5. Qin Shihuang used the network of roads to conduct royal inspection tours throughout the land. This helped extend the concept of China as a whole. 6. 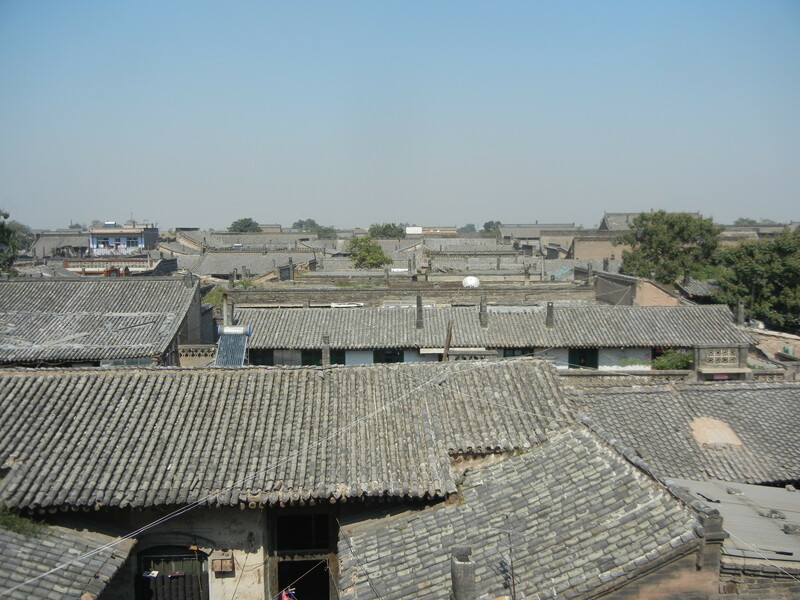 He also built several canals in the south and helped establish the province of Sichuan as a rice bowl. Sichuan had unique cultures which blended with mainstream China and enriched it–its native art keenly appreciated nature, and it influenced Chinese landscape painting. Forms of popular Daoism also came from there. But Qin Shihuang’s unification of China had dark sides, which undermined his dynasty shortly after he died. We’ll explore these facets of this reign, which was one of the most monumental in world history, in the next post in Qin Shihuang.